Plus the box on my bedside table and the empty one in the recycling bin. Don’t tell me I’m not predictable. Oh my. I want them. I think they are actually MINE. Not yours. Maltersers inventors should be paying you a commission! Can i have one? Pleaseeeeeeeeeeeeee? The Maltesers we can buy here are not that good. Kit Kats are better. Kit Kats are good. But not as good as Maltesers. i think u should get a case for Christmas!!!! Too bad no Maltesers here in Hawaii! Oh Maltesers, once opened you just have to eat the lot, no matter if it’s a little bite size bag, a family pack or a box full. I only get to stuff them in my mouth when I back in England because they are just too expensive to buy out here. Mind you I always find that one or six packs seem to find their way into my luggage on my return from visiting Britain. Only people who ask “Is there anything I can bring out for you?” get to stay with me, you know already what the answer is! It used to be gravy granules for me, when I lived in South Africa. What was I thinking? Sad to say I sometimes ask for other things too! Should have guessed 😆 good one! They are all yours … I had mine !!!!! We get ours here in plastic bags not boxes. You deserve them birthday girl! I think you have shares in that sweet company. 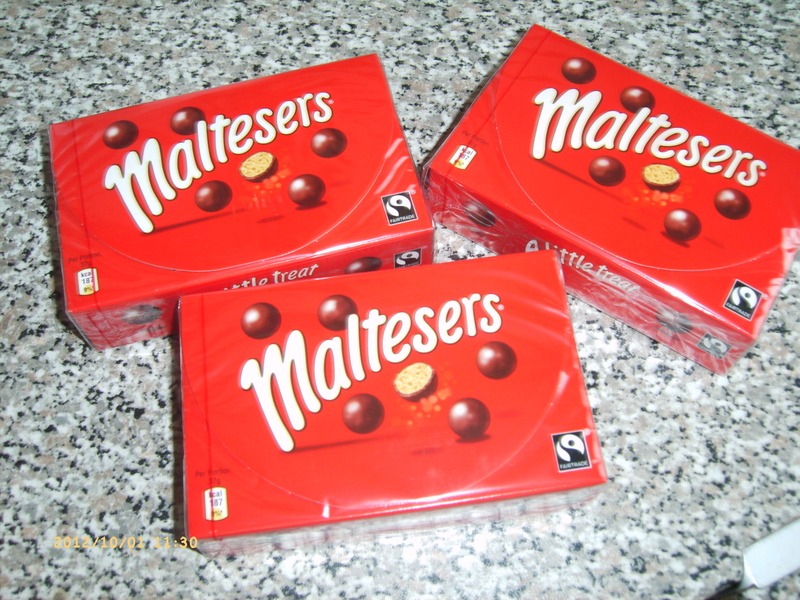 I should’ve known you’d choose Maltesers! hehe yum maltesers! Just grabbed one this morning on the road to school and ate it all! You’re so predictable. 🙂 If you had answered anything else, I would have thought you were sick.